WORRYING NEWS ABOUT THE RESTORATION! 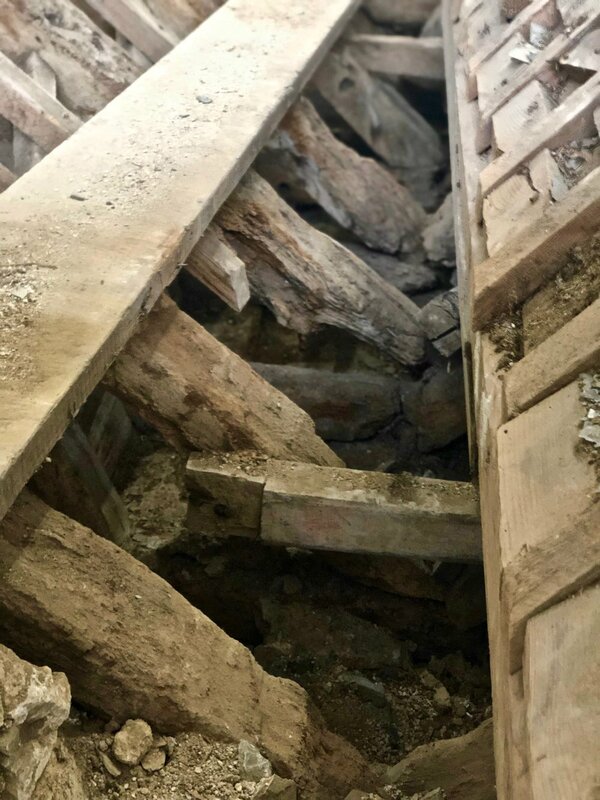 We have discovered that the medieval roof rafters are in a much worse condition than was originally thought. This also applies to the valley gutter between the roofs, hidden parts of which had almost decayed away altogether. In spite of cutting back on some aspects of the project, another £45,000 is now needed to reach our target. For the last 10 years the Friends of Lanteglos Church (FOLC) have been raising funds to renew the leaking roof and generally restore this outstanding medieval Church. In April 2018 FOLC became a registered charity No 1177951. Now a generous grant from the Heritage Lottery Fund, made possible by National Lottery players, has provided significant support. A grant of £231,500 has been awarded to help FOLC and Lanteglos-by-Camelford PCC to progress the project. During the restoration the Church will be closed until September 2019 but the churchyard will remain open. All Services will transfer to Advent Church during the restoration. The Restoration Project aims to ensure this ancient Grade I Listed building which is on the at risk register of Historic England will survive for future generations. The work involves the renewal of the leaky roof and sorting out the granite wall blocks that have shifted dangerously over the last 800 years. A composting toilet, a small kitchen and a new heating system are planned in order to bring the Church right up to date and truly accessible for all the community. St Julitta’s Church has numerous interesting heritage features including some 15th century glass and a uniquely carved font also 15th century, where one of the first circumnavigators of the world Captain Samuel Wallis, discoverer of Wallis Island and Tahiti was baptised. A special feature of the church is that it has wonderful acoustics so it is planned to build on this with more frequent musical events. It is difficult to describe the wonderful atmosphere when Mike Silver and friends sang recently at Lanteglos It was very special. It is not difficult to pick this up if you listen to this short video clip. The church will be closed for restoration for almost a year, but we look forward to more special evenings with Mike when we open again at the end of 2019. Caitlin sings again at the Lanteglos Flower Festival. Tintagel Orpheus Male Voice choir specially made a space in their programme so that she could sing. What a wonderful talent. Progress with the Tomb chest. Now time for tea!